I am sure that everybody is familiar with this beautiful little flower; the keen gardeners among you will no doubt appreciate its beauty and its range of splendid color. But are you familiar with its diverse range of therapeutic benefits that include its ability to ease pain, clear up congestion and take care of your skin? There are actually some 200 species of violet belonging to the violaceae family, they are native to France, Italy, China and Greece but are now cultivated all over the planet. The majority of violets harvested are used in the perfume industry with some being used in food flavoring and confectionary. What Is Violet Essential Oil? It is only a small percentage of the plant (Viola odorata) that ends up being used in aromatherapy and finds its way into essential oil bottles. The essential oil is extracted from either the flower and/or the leaf by means of solvent extraction. Typically, it is the intense green violet leaf which is most commonly available in aromatherapy with violet flower essential oil being extremely hard to come by. The yield is incredibly low with some 1000 kilograms of violet leaves yielding only a kilogram of concrete residue. The pure extract is also called violet leaf absolute. The violet leaf absolute is an expensive oil—typically sold in smaller sizes as well lower purity (ie 10%) products in order to make it affordable. According to the Encyclopedia of Essential Oils by Julia Lawless, violet essential oil contains a number of therapeutic properties which are responsible for its medicinal benefits. These properties include mild analgesic, anti-inflammatory, antiseptic, diuretic, expectorant, laxative and stimulant actions with a broad ranging therapeutic potential. Violet essential oil is gentle acting on the skin and is well-known for its ability to help with a number of skin conditions. The leaf, as well as its flowers, has been used traditionally to treat a host of skin issues, so before spending even more money on those commercial skin care products, give this natural treatment a try. Violet essential oil is especially useful on dry skin and can help soothe and heal inflammation as well as thread veins. It can also be used as a natural treatment to deal with common skin conditions like acne and eczema. Violet essential oil is considered to be safe for topical use so long as you take the precaution of diluting it first. Violet essential oil can be used with great effect on the body to deal with conditions caused by inflammation. Violet essential oil has anti-inflammatory compounds, and many sufferers of rheumatism and arthritis have found it to be an effective remedy when massaged into their painful muscles and joints. Violet essential oil can also help stimulate circulation of blood to the muscles. If you are going to massage your body with violet essential oil, it is important to remember that it must be diluted first with a suitable carrier oil. When it comes to essential oils, a little goes a very long way so be sure that you follow the recommended instructions for dilution. Sweet almond, jojoba and coconut oil make excellent carrier oils for a luxurious and fragrant massage. If you prefer, you can simply add a few drops of violet essential oil to your bathtub and soak up the goodness. Violet essential oil has comforting and calming properties and can be used to help ease many conditions. 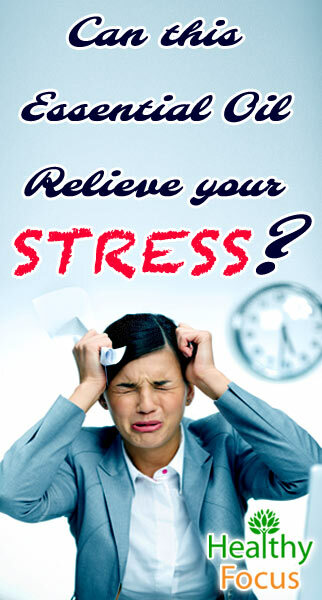 It is said to be able to reduce headaches and migraines as well as dizziness, anxiety and nervous exhaustion. Like so many essential oils, violet oil could be a real natural alternative to pharmaceutical medications that seem to be overprescribed. Unlike most pharmaceuticals, violet essential oil is not addictive and is unlikely to create any adverse side effects. 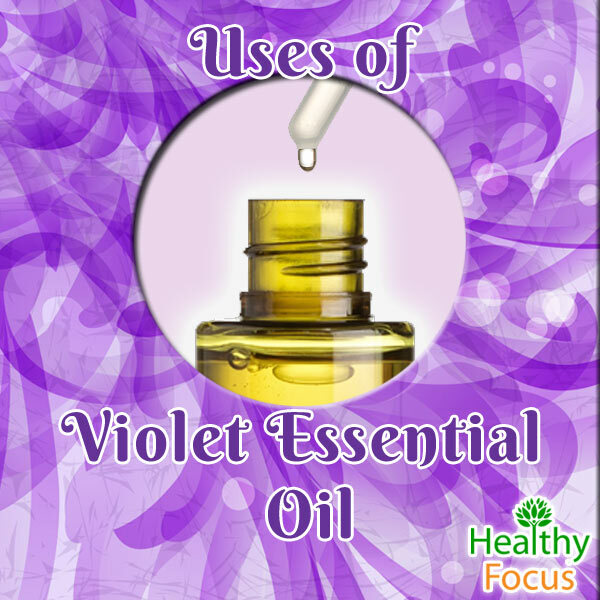 Violet essential oil can be very useful in getting rid of some of the more troublesome symptoms of the common cold like respiratory congestion blocked sinuses and sore throats. Because of its expectorant properties, violet oil can be diffused near your bed at night, and the vapors inhaled to help clear your lungs of phlegm and any other congestion. You could also inhale the vapors by adding a few drops to a sink filled with hot water-simply cover your head and neck with a towel and breathe in the vapors. This has the added bonus of clearing out the pores of your skin. When I moved to a large city in South East Asia for the first time, I suffered badly from insomnia so I know how debilitating a condition it can be. Without sufficient sleep, your body and mind are nowhere near capable of efficiently functioning and work becomes far more stressful than normal. Mood swings are a common result and getting a good night’s sleep becomes all consuming. I tried a number of medications back in those days and none of them proved especially effective so it is good to know that nature might have provided the answer in this and a number of other essential oils. Try diffusing violet essential oil near your bed at night; there is no guarantee that it will be effective but many people have reported success and unlike pharmaceutical drugs, there is no absolutely harm in trying. Violet Oil is often used in perfumes. Typically, the oil from the flower is more sought after than from the leaf. The fragrance of the Violet leaf oil is earthy with a green note. Violet flower oil has a sweeter, floral scent. Almost all Violet essential oils and enfleurages are made from the leaf. The Flower is typically used more in the perfume industry. Since the leaf is more available it is actually good to mix the leaf oil with a true floral scent such as Jasmine or Rose Absolute. Like any other essential oil, this wonderful oil can be used in a variety of ways depending on your therapeutic needs. It can be inhaled to help with sleep issues, anxiety and to relieve congestion. The easiest way to do this is to add a few drops to a handkerchief or tissue paper and inhale the aroma directly. Alternatively, if you have a diffuser machine it can be diffused to help with respiratory issues or for insomnia diffuse it next to your bed at night. If you do not have a diffuser machine, you can replicate a similar effect by putting a few drops into a pan of boiling water and inhaling the steam. Create a steam bath for inhalation by filling your sink with hot water then adding a few drops of violet essential oil. Cover your head, neck and shoulders with a towel and inhale the vapors deeply for a few minutes to relieve congestion. You can absorb all the goodness of violet essential oil by adding a few drops to your bathtub. This is a great way to get rid of any aches and pains but make sure that you finish running the water before adding the oil or you will lose many of the nutrients through evaporation. For your skin, make sure that you dilute the oil in water before applying it to your face or areas affected by acne with a cotton ball. You can make a luxurious massage oil with violet essential oil but as with most essential oils, it needs to be diluted first with a suitable carrier oil like coconut, sunflower or sweet almond. While there are no guarantees, massaging this oil into your body should help relieve any muscular aches and pains. Violet essential oil is considered to be a mild-acting oil that is non-toxic and non-sensitizing but as with other essential oils, it is always wise to follow a few precautionary guidelines. As with other essential oils, violet essential oil should not be taken internally. Before applying this oil topically, be sure to dilute it and even after dilution makes sure that you test it on a small area of skin to ensure that you are not allergic. Pregnant women and breastfeeding mothers are never recommended to use essential oils without seeking medical advice first.